A great variety of conservative and surgical procedures to correct vaginal vault prolapse have been reported. 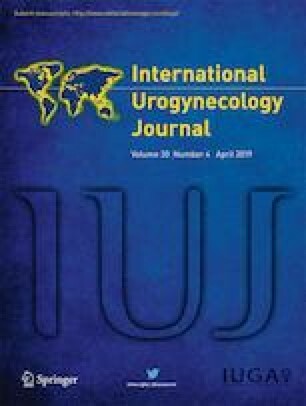 The aim of this study was to describe practice pattern variation—the difference in care that cannot be explained by the underlying medical condition—among Dutch gynecologists regarding treatment of vaginal vault prolapse. A clinical practice survey was conducted from March to April 2017. The questionnaire was developed to evaluate treatment of vaginal vault prolapse. All members of the Dutch Society for Urogynaecology were invited to participate in a web-based survey. One hundred four Dutch gynecologists with special interest in urogynecology responded to the survey (response rate, 44%). As first-choice therapy for vaginal vault prolapse, 78% of the respondents chose pessary treatment, whereas sacrospinous fixation was the second most common therapy choice according to 64% of the respondents. Preferences on how to approach vaginal vault prolapse surgically are conflicting. Overall, the most performed surgery for vaginal vault prolapse is sacrospinous fixation, followed by laparoscopic and robotic sacrocolpopexy. Gynecologists in The Netherlands manage vaginal vault prolapse very differently. No standardized method could be determined for the treatment of vaginal vault prolapse in The Netherlands, and we observed practice pattern variations. We thank the Dutch Society for Urogynaecology for sending our survey to the gynecologists and to all who contributed to this paper by responding to our questionnaire. Central Bureau for Statistics. Hospital procedures in the Netherlands; hysterectomy 1995–2010. 2014, February 5. Retrieved from http://statline.cbs.nl.